Are you wondering how to get a website on google search? If so I know how you feel. When you are first starting out you are very anxious to see your site start working. You want people to know about it. Google is a great way. In the video above on how to get a website on google search I give you my best tips on what you can do to get your website listed in Google search. The good news is it is not that hard once you know what Google is looking for. As always if you can not watch the video above I have put my best points in the blog post below. In my video on how to get a website on google search I give you 6 steps (or tips if you want to call them that). Use these and you will have a lot easier time getting found by Google and getting some love from them. 1. Understand How Google Works. You can spend years trying to learn how Google puts sites to the top of their search engine. The truth is nobody REALLY knows how Google works. Why? Because Google won’t tell you. But we do know there are some things that do seem to influence Google. The biggest ones are how often the search phrase appears on your site. This is called an “on page factor”. It is one you can control. The other big part is off-page factors. Things you can’t really control. Google wants to see that other people think your site is good. One of the most common things they look at is how many (and who) is linking to your website. Links are like votes. The more you get, the more love you get from Google. Google also looks at social signals. How many people are sharing, liking, tweeting out your stuff? 2. Add A Blog to your site. Google Love Blogs. Why? Because they publish new (and hopefully wonderful) content. Websites with Blogs get 434% more pages indexed in Google. They get 97% more links. They get on average 55% more visitors too. I recommend you add a wordpress blog to your site. WordPress is the number one blogging platform. It is easy to set up and use. The best part is the price. It is 100% free. When you are wondering how to get a website on Google search adding a blog is first step. It is VERY important that Google sees you are putting out good content regularly. Google doesn’t want to show old stale out of date sites. They want to show people sites that are alive. When you are thinking of how to get a website on google search think of your content strategy. It will make the biggest difference. Publishing great content regularly and having people like, share, comments, and tweet it out will get you noticed by Google. If you want to know a Good content strategy check out the one I use here that got me over 29,000 free visitors (from Google I might add). 4. Submit A Google SiteMap. A Sitemap tells Google where all your content is. Yes Google has web crawlers that will find it anyways. But having a sitemap helps Google know how your content is organized. So when you are sitting there wondering how to get a website on google search, doesn’t it make sense to let Google know you exist? It also helps improve the reputation of your site. If you don’t know what a sitemap is don’t worry. Just install the Google sitemap plug-in with your new wordpress blog. Then go into Google Webmaster tools and submit your new site map. 5. Add Google Analytics to your site. Google Analytics tells you a ton of very cool stuff about your site. You can see how many people went to it. Where they came from. How long they stayed and more. Adding Google Analtycis to your site will let Google know you exist. It will trigger the Google bots to come pay you a visit and look at your site. 6. Link to content from Social Media. Here is the big connection I wanted to make between Google and Social Media. I spend a lot of time talking about Social Media. Well here is where it all comes together. Google wants the best content and sites at the top of their search engine. The best way to find it is to look at “social signals”. Doesn’t it just make sense that websites and blog articles that are shared by lots of people are better than ones that are not? Make sure to push the articles you are publishing from your content marketing strategy onto your social channels. As they get shared, retweeted, and liked, Google will pick up on this. They will see you are legit and send you some Google Love. Now this is not the be-all-end-all guide to getting your site listed in Google. But if you have been wondering how to get a website on google search this is a great starts. 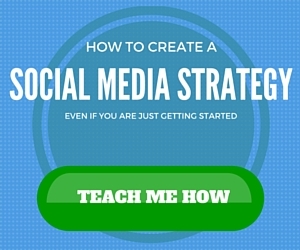 Set up a blog, post to it, and share on Social Media. Give it some time and you will be getting plenty of love from Google.